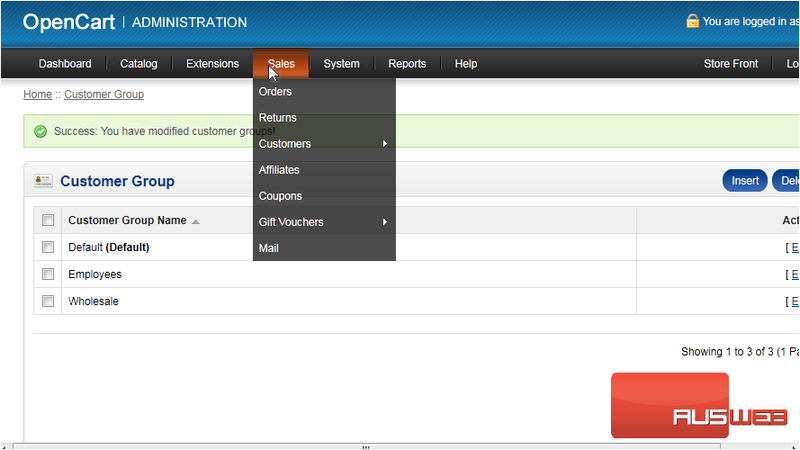 2) Then hover over Customers. 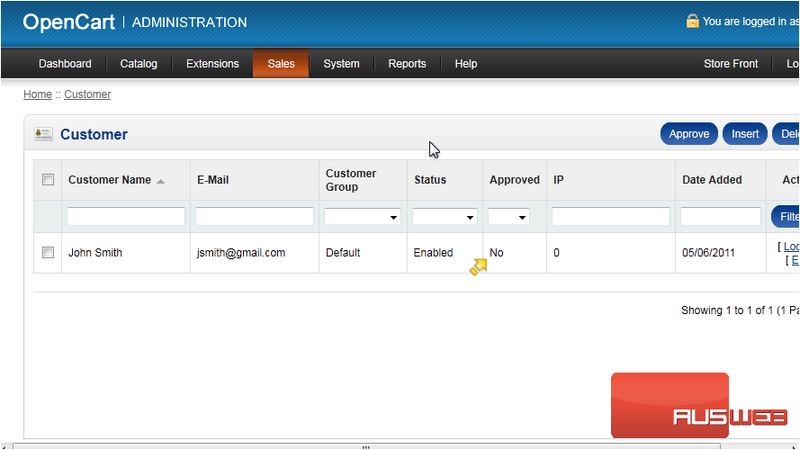 3) And click Customer Groups. 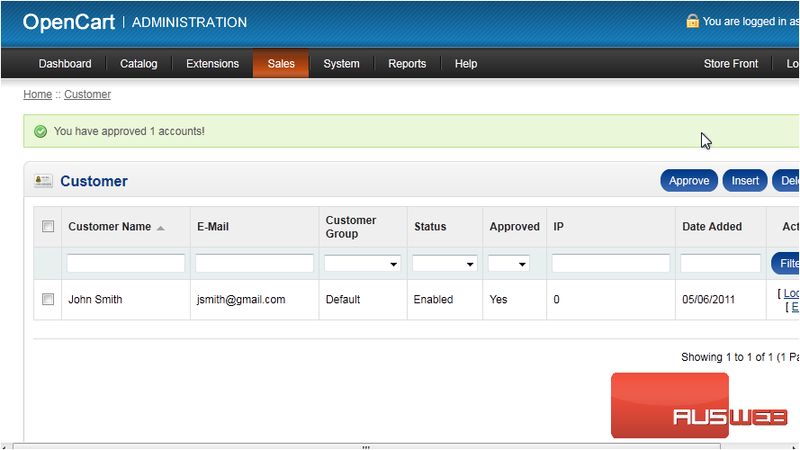 4) Click Insert to add a new group. 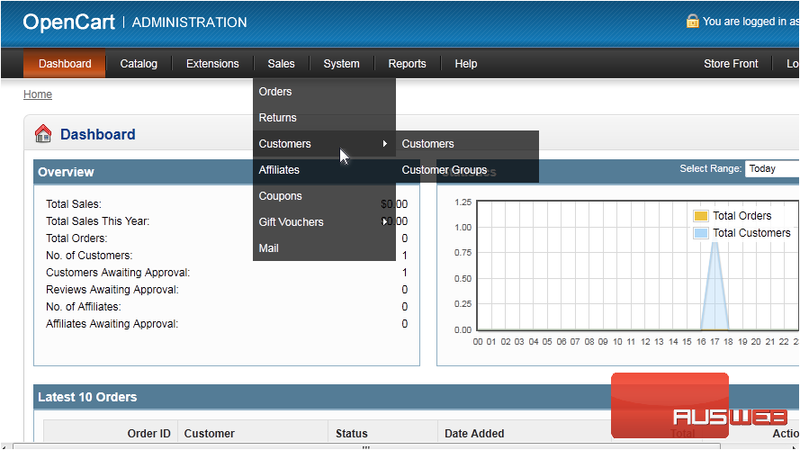 5) Type the Customer Group Name. 7) Now, go back to Sales. Here is a list of all registered customers. We can see that this one hasn’t been approved. 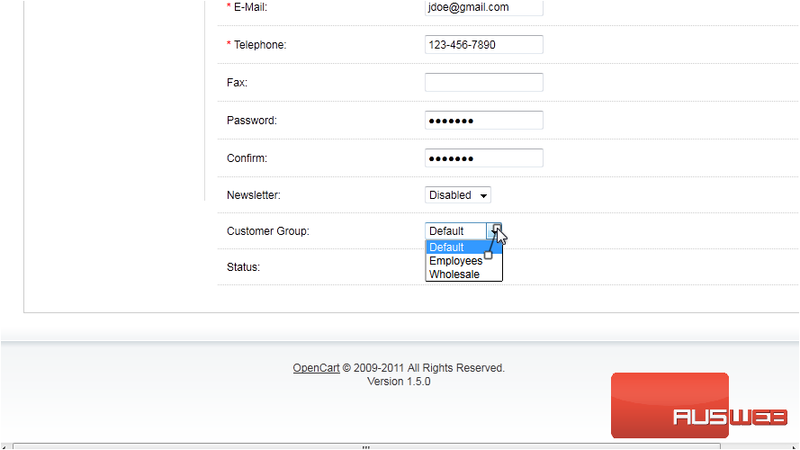 12) Click Insert to add a new customer account. 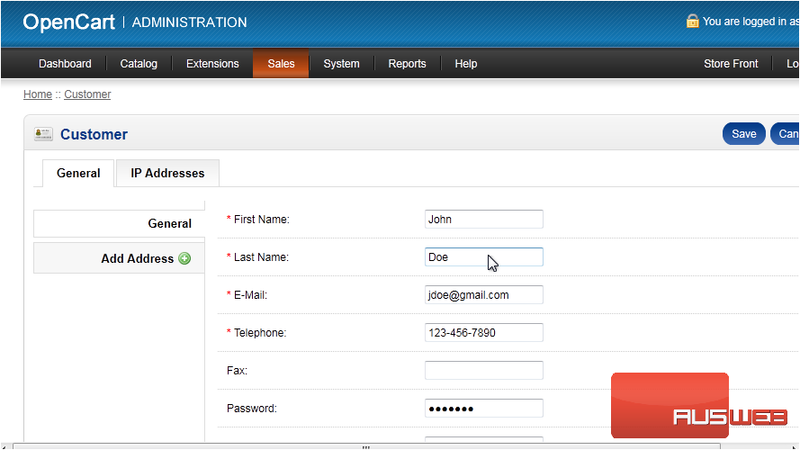 13) Enter the customer’s first and last name. 14) Now enter the customer’s e-mail address and phone number. 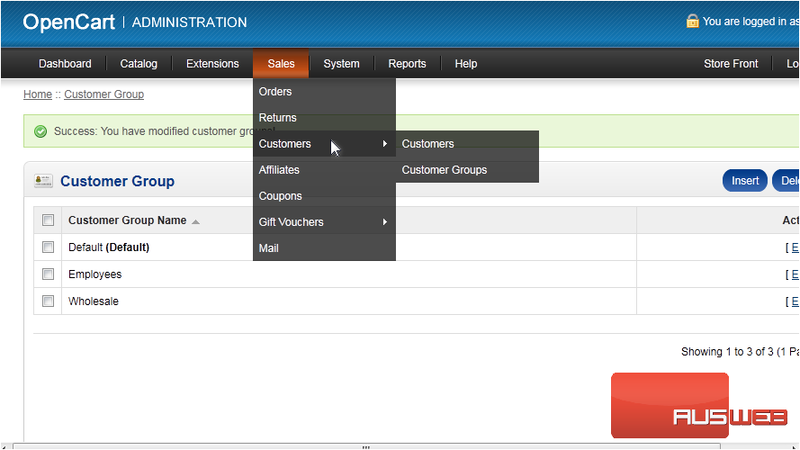 16) Choose the Customer Group. That’s it! 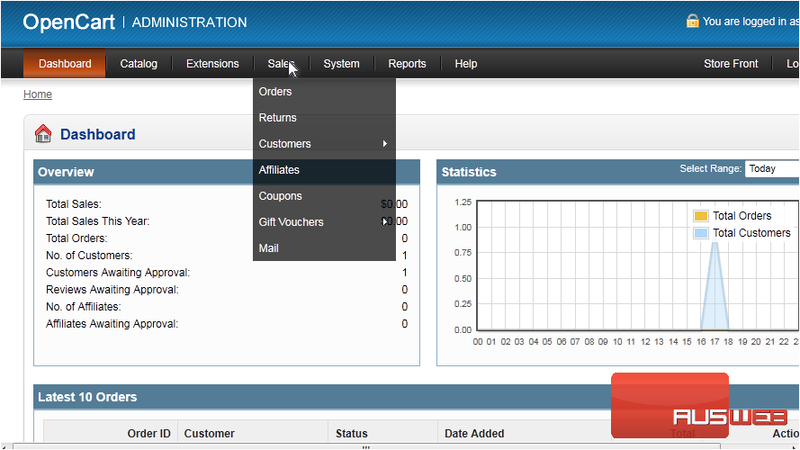 Now you know how to manage your customers in OpenCart.